The posterior cruciate ligament is only injured by very traumatic events such as a car crash or similar accidents. 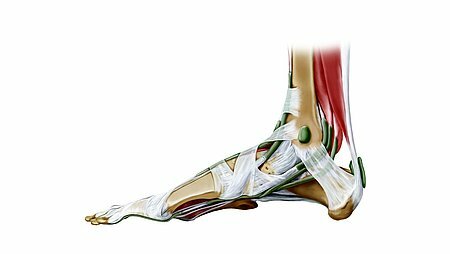 Although the anterior cruciate ligament is just as thick and strong as the posterior cruciate ligament, it is injured considerably more often. It may rupture entirely (complete cruciate ligament rupture) or individual fibres may be torn (partial cruciate ligament rupture). Of particular risk for injuries are Judo, football, skiing and similar sports. In most cases, the knee twists inwards with the upper body bending backwards at the same time. The fibres very often tear where the ligament inserts into the thigh bone. Another reason for injury is a congenital anomaly of the cruciate ligament that leads to permanent overstrain until the ligament ruptures from a minor cause. 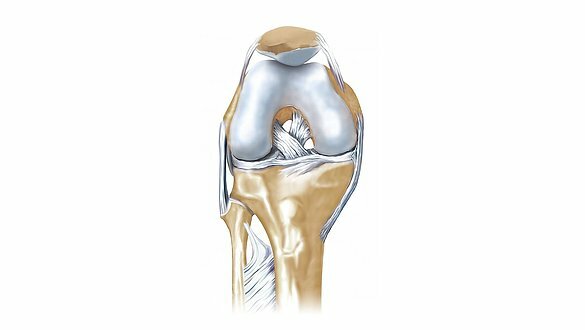 Patients sometimes find the knee joint very painful and it usually swells up within the first few hours. Another sign is joint effusion and marked joint instability. Once the acute pain has diminished, regular physiotherapy is usually prescribed. This improves the stability of the affected knee joint by strengthening muscles and training co-ordination. Electrophysiotherapy, ultrasound and ice packs can also be used for treatment, either individually or in combination. This improves perfusion and relieves pain. But the most important factor is lifelong consistent muscle training to help the muscles take over the task of the torn cruciate ligament. 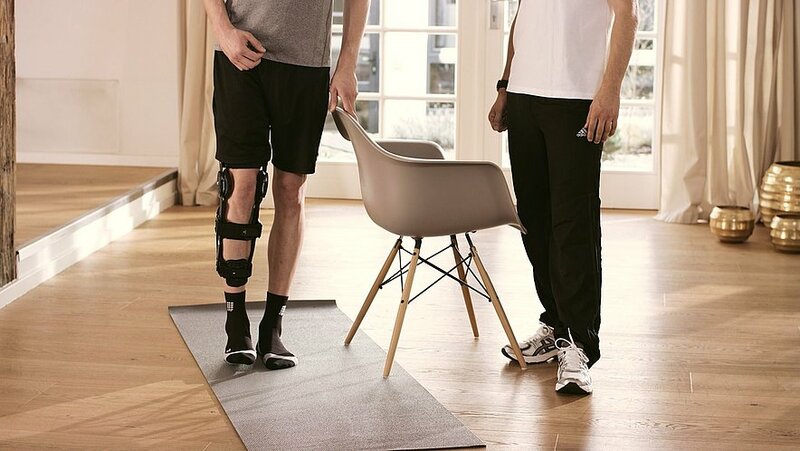 Supportive knee braces are used, particularly during sports and after operations. These enable mobility to be regained step by step and relieve stresses on the knee joint by stabilizing it. If an operation is needed, cruciate ligament-plasty is usually performed. In this procedure, a piece of the body's own tendon is implanted in the knee as a replacement. After the operation, aftercare with physiotherapy and other methods, as described above, are necessary. medi would like to give you active support during your rehabilitation phase. With the series of exercises, you find on the following PDF, you can activate and strengthen your leg muscles. Just print out the PDF so you can do the exercises where and when you want. We hope you will have fun and wish you every success! One important note before you start: Please discuss the exercises with your doctor and therapist in advance. You are very welcome to download our Physiotherapy exercises flyer here. 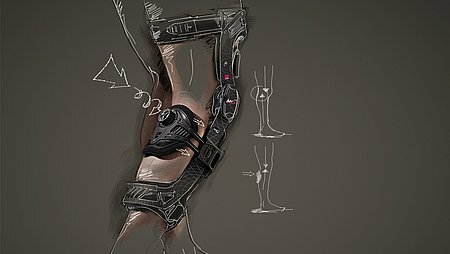 Click here for more information about knee braces from medi.